Invoice history based on 44 reviews. 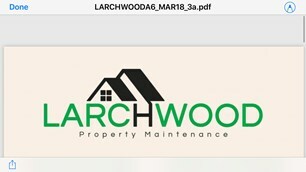 We are a local established property maintenance company based in Ruislip, Middlesex with local sites to view. We cover all aspect of landscaping tree surgery fencing turfing patios overgrown gardens put back into shape. And many other services. Please take a look at our gallery for recent jobs we have completed. If you would like a free quotation or advice please contact me anytime. I am always on site to make sure our work is completed to a high standard and the clients are happy. We will beat any written quotation from a reputable company. Wembley, Uxbridge, London, Hayes, Middlesex, West London, and all other surrounding areas.